With only a small glimpse of Shoshone Lake along the way and no views at the top, this forested hike to an old lookout site has little to offer. The trail enters into the trees and briefly descends to Spring Creek where it crosses and begins a steady climb. 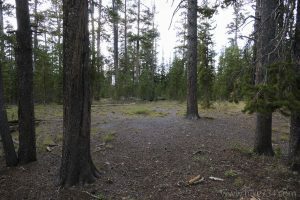 The forest is a nice hike as it’s an older stand of trees and the ground is covered in obsidian rocks. Near the top, you get a brief glimpse of Shoshone Lake. Beyond that, the trail climbs to the old lookout spot, which is now completely obscured by tall trees. 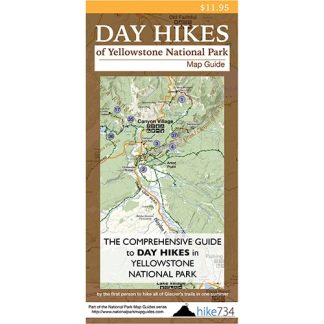 Trailhead: The signed trailhead for Divide is on the Grand Loop Road, between Old Faithful and West Thumb.